You know what? 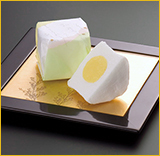 Cube and Hokuriku District has a lot of delicious Japanese sweets and dishes. 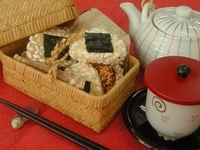 Local ingredients of Chubu and Hokuriku District are used, so you can enjoy special taste. 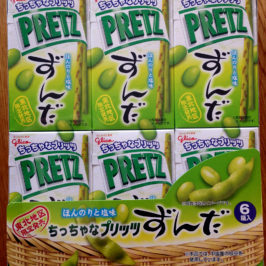 I am pleased to introduce to you local Glico Pretz in Chubu and Hokuriku District. 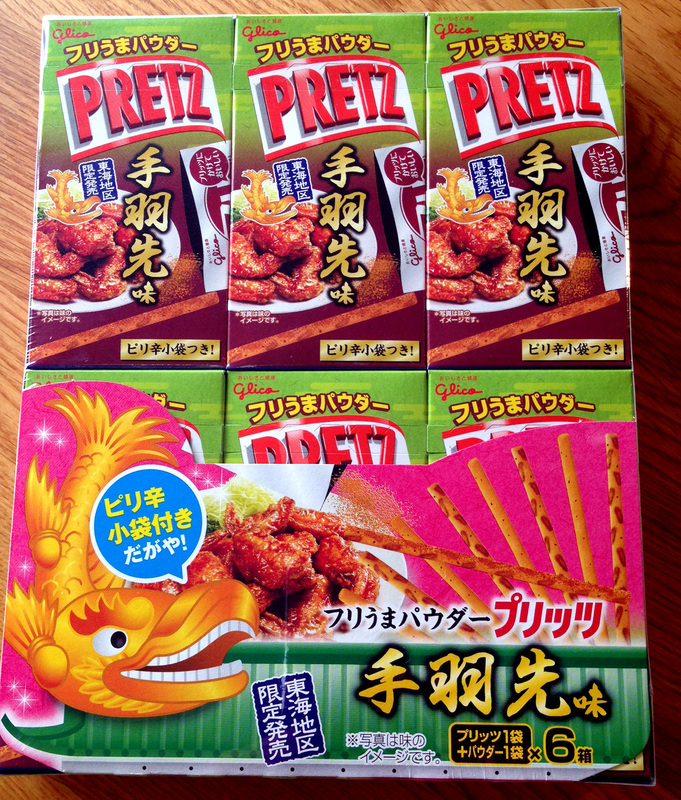 It is a chicken wing tip Pretz which is juicy and flavorful. 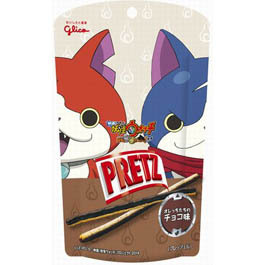 It comes with “Furi-Uma seasoning powder,” which changes the original flavor into a nice spicy one if you sprinkle “Furi-Uma” on the Pretz. You can enjoy two different tastes at once. One box contains 6 small boxes, so it is perfect to distribute as a souvenir. These chicken wing tips are crispy outside and chewy inside. 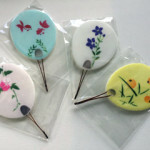 That’s good! 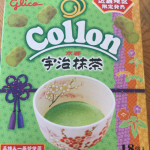 It is rich in nutrition and one of the Japanese basic seasonings which has been used since ancient times. 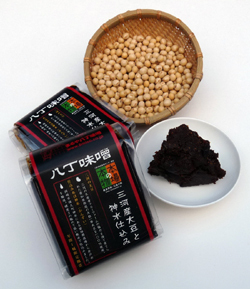 The miso taste that condensed the soybean’s flavor is rich, and its feature is a unique flavor with a little sour and bitter taste. 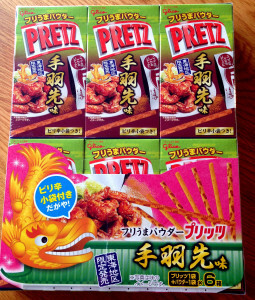 It is the Pretz with sweet and spicy seasoning which is peculiar to Haccho miso. 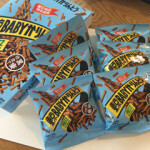 “Giant Pretz” is a big pretzel-like stick which is approximately 21 cm long. 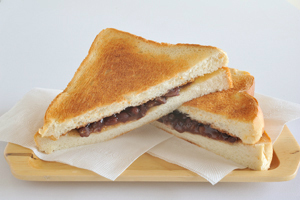 Specialty of Nagoya “Ogura toast” is a thickly-sliced toasted bread with red bean paste. 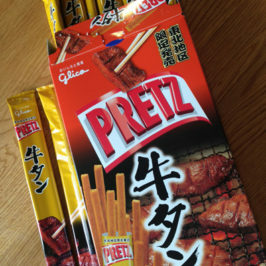 You can eat Pretz with famous red bean paste from Hokkaido. 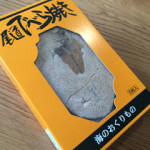 The Pretz is think so that you can easily put “Ogura” on it and it is butter-flavored so that you can enjoy the delicious flavor of “Ogura toast.” One box contains 6 small boxes, so it is perfect to distribute as a souvenir, too. 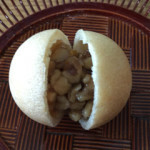 Ogura toasts are familiar in Nagoya. 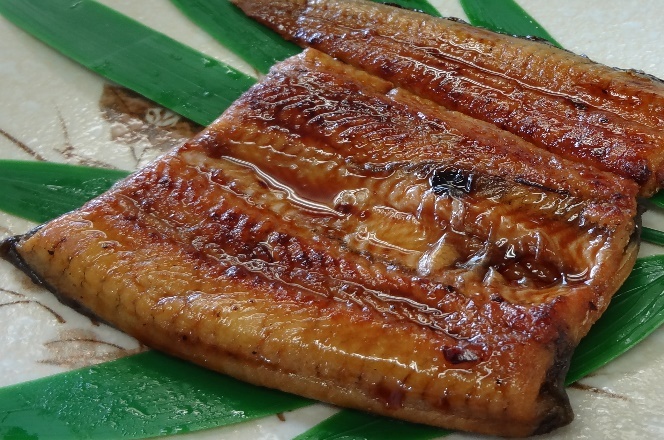 Shizuoka Prefecture is famous as the excellent production center of eel．The taste of grilled eel is recreated in the Pretz; dough is kneaded with eel extract powder and is baked. It is very savory and delicious. “Sansho” Japanese pepper adds a flavor to the taste of salty-sweet kabayaki sauce. 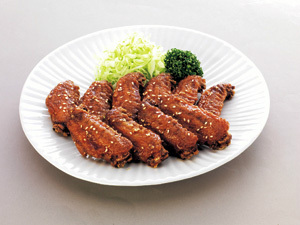 Kabayaki”sauce is a little sweeter and thicker than “teriyaki” sauce.